Samsung Electronics announced the release of Premium Suite Service Pack for its Samsung Galaxy S III. This very new package includes additional multimedia features and several new apps submitted earlier in Samsung Galaxy Note II, as well as the update of Android platform up to 4.1.2 Jelly Bean version. 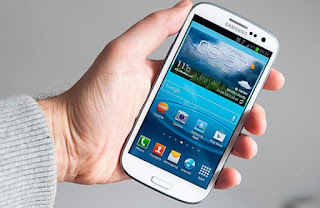 The users can update their Samsung Galaxy S III through Samsung Kies or just via the service of software updates (FOTA). Premium Suite Pack includes new features and applications. One of the key innovations in the package is a feature of Multi Window, which will allow users to run two mobile apps simultaneously on one screen. Another function (Smart Rotation) will fix the user's head position and rotate the image on the device's screen for comfortable perception. Intuitive Page Buddy function anticipates and prompts the user’s applications and widgets, depending on a specific mode of the device. And being in a "flight mode", the smartphone will display the world clock widget on the desktop. In addition, the service pack will have an Easy Mode, which will bring to the desktop the five most frequently used by the user widgets. Premium Suite Pack for Samsung Galaxy S III also includes a number of camera improvements. For example, Best Face function will shot up to five pictures of the same person, so that the user could then choose the best. Another improvement will be an Easy Snap mode that will allow to determine and to notify about the number of people in the frame. The experts of the Samsung Company have taken care of situations where the shooting has to be carried in low-light surrounding. The Low Light Shot camera function improves the quality of images taken in low light. Wizard function). Moreover, the owners of the phones will be able to share photos quickly and easily on the NFC-connection thanks to S-Beam technology and Auto Share Shot Pairing feature. These are the main improvements made in the almost perfect Galaxy S III, the full list of changes can be found on the official site of Samsung.